A British business would need to shell out roughly £1.1 million to recover, report claims. A business in the UK would need to spend over £1 million to recover from a security breach, new research has claimed. According to the 2017 Risk:Value report from NTT Group, UK comapnies have to pay more than the global average of £1 million, which has gone up from the previous report’s estimate of $907,000. The report is based on a poll of 1,350 non-IT business decision makers, scattered across 11 countries, 200 of which were from the UK. The results have shown that businesses would need roughly 80 days to recover from an attack, almost a week longer from the 74-day global average, and that UK businesses would see 'only' a 9.5 per cent drop in revenue, compared to the 10 per cent global average. 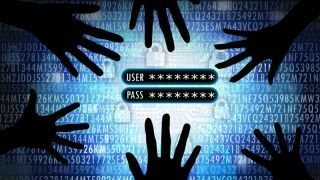 Worryingly, two thirds (63 per cent) of respondents said that they thought a data breach is ‘inevitable’. But businesses aren’t watching this idly – 72 per cent have a formal information secure policy (globally it’s 56 per cent), and 16 per cent are currently drafting one. The issue lies with employees understanding the policy, though. More than four in five (83 per cent) have communicated the policy to their employees, but just 31 per cent are aware of it, fully. “Companies are absolutely right to worry about the financial impact of a data breach – both in terms of short-term financial losses and long-term brand and reputational damage. Although this year’s £1.1m figure is slightly down on last year’s report (£1.2m), no company, regardless of its size, sector or focus, can afford to ignore the consequences of what are increasingly sophisticated and targeted security attacks, like the widespread and damaging ransomware attack we recently witnessed,” said Linda McCormack, vice president UK & Ireland at NTT Security.